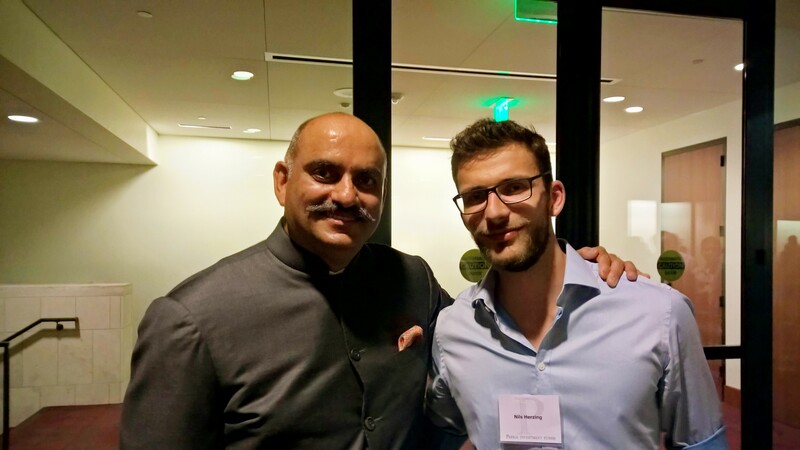 Back in 2013 we were invited to attend the Pabrai annual fund meeting to speak to Mr. Pabrai in person. Unfortunately it was not possible to meet him until six days ago. Thanks too my employer Fronteris, I was able to attended his annual meeting and a bike ride with him. In addition to this experience, I was able to meet with other great minds like Guy Spier, Rishi Gosalia (from Google), Haricharan Ramachandra (from Linkedin, who also run the great blog BitsBusiness), Adrian Warner (a fund manager from Australia) and many others. Score keeping is Mr. Pabrai’s most important lesson to achieve success in life and investing. Especially, the track-record is important in investing and gaming. It can help you to track your mistakes and improve your knowledge. Has read the Poor Charlies Almanac 7 times and still finds new insights. Self-improvement is the most important thing, he would bet on the guy with less knowledge and less skills if he has a drive to self-improvement, over a lifetime he will bet the guy with more skills. Pabrai thinks that Fiat is highly undervalued. Minimum margin of safety is 50% and it has the potential to become a +4x. The spinoff of Ferrari will come in less than a month and it is still not considered in the share price.